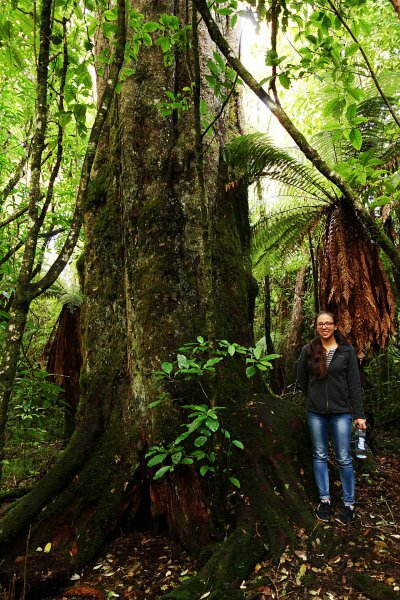 This large matai on the the northern loop track at Opepe Bush Historic and Scenic Reserve is one of the largest known by diameter. 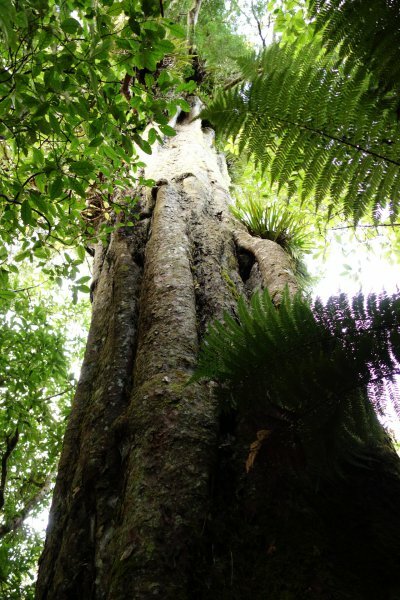 A similar sized tree is nearby, along the track (Smillie, M.J., 2015). Girth measurement above a large bulging buttress. Near the midway point on the northern loop track.